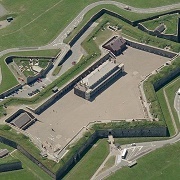 The star-shaped Halifax Citadel is perhaps the city's most historic site.. This military fort on Citadel Hill is the perfect place to view the the harbour and the city. It was originally built in 1749 by the British military. Visit to become a solider for a day, and see the new Road to Vimy and Beyond exhibit at the Army Museum and hear the daily BOOM of the Noon Gun. 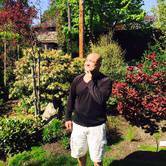 Located in the heart of downtown Halifax, this 16 acre Victorian Garden is filled with flowers and trees, a pond, resident geese, a shy turtle and lots of goldfish. There is a family lawn area where kids can run, an ice cream shop and free story time twice a week. They also have activity booklets available to encourage kids to explore their physical environment.  Every Sunday there is a free concert at the bandstand and the annual Mayor and Council’s Garden Party feature a magician, face painting and tons of kids activities! 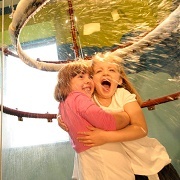 At Discovery Centre, the staff believes in a hands-on, and minds-on philosophy – Experience new, interactive featured exhibits throughout the year with a variety of science busking, permanent exhibits like the Bubbleworks gallery and weekend live science demonstrations. The Discovery Shop has everything from loot bag items to fun-educational toys you can’t find anywhere else. Visit the Discovery Centre at 1593 Barrington Street, where you’ll find three floors of interactive fun and education. 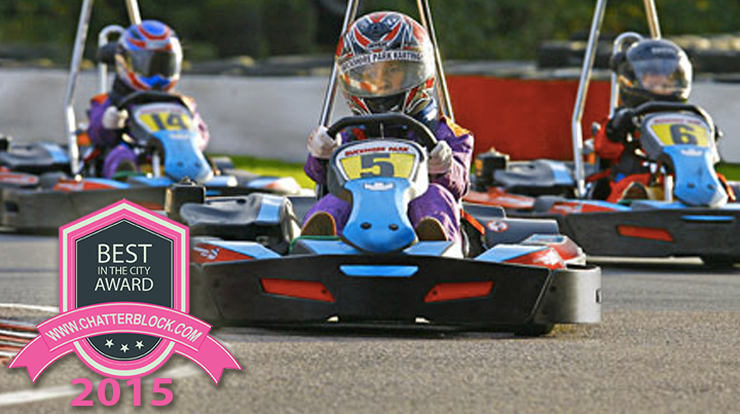 They also offer summer camps and birthday party packages--it’s the smartest place to play! The Metro's place to play! 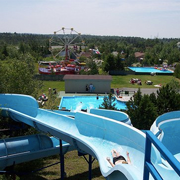 Atlantic Playland is fun for everyone in the family! Make a splash in our waterslides and bumper boats - perfect on a hot summer's day. Take a ride on "Big Ellie" the Atlantic Playland Ferris Wheel. Spin back in time on our 30 Horse Antique Carousel. It's guaranteed to delight the young and young at heart! Go Cart admission is extra. 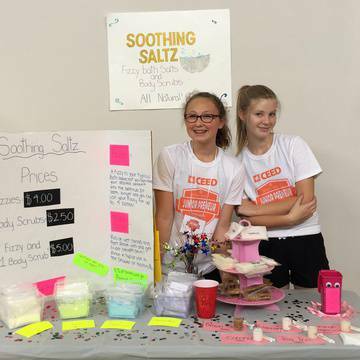 Opening June 19th on school days from 9:30-3pm. June 26th regular summer hours will take place: 11am- 6pm daily! Canada is a country shaped by immigration. For some of us, our ancestors paved the way. For others, it was a more recent journey that brought us here. The Canadian Museum of immigration at Pier 21 is dedicated to sharing Canada’s broader immigration story. 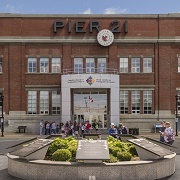 Located on the historic Halifax waterfront, from 1928-1971, Pier 21 was a gateway for almost 1.3 million people. Today, the Museum explores Canada’s immigration story from the early days of nation building to our recent past. Whether arriving by boat hundreds of years ago, or yesterday by airplane, it’s these stories that help define us as a nation. See how the world shapes Canada. 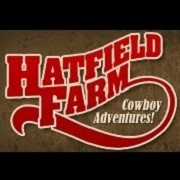 Located minutes from the city, but with the feeling of being miles away from it all, Hatfield Farm offers everything from trail, pony rides, wagon & sleigh rides to the providing the perfect venue for a wedding day or corporate retreat. In the barnyard, they offer pony rides and the petting zoo. For kids of all ages, Fort Clayton offers an indoor games centre, The Rubber Rodeo, Mini Golf, and outdoor zip line. Summer riding camps are also offered for children ages 8 - 16 years old. The Art Gallery of Nova Scotia is the largest art museum in Atlantic Canada with locations in downtown Halifax and Yarmouth. The Gallery houses the Provinces art collection and presents a range of exhibitions and programming for all ages. 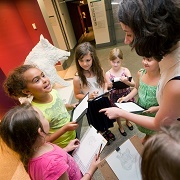 The Art Gallery of Nova Scotia offers Summer School of Arts for kids aged 3 to teens. 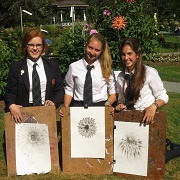 These summer camps offer opportunities to participate in hands-on studio activities, experiment with a range of art materials, learn new art techniques, view original art and play around with ideas and images. The Maritime Museum of the Atlantic is the oldest and largest Maritime Museum in Canada. From small craft boatbuilding to World War Convoys, the Days of Sail to the Age of Steam, the Titanic to the Halifax Explosion, you’ll discover the stories, events and people that have come to define Nova Scotia and its relationship with the sea. 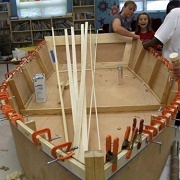 One particularly special event this year will be the Family Boat Building program from August 12-14! Where is the park in the first picture located?